From the outside world, yet packed with superior amenities. Shamrock is a resort that vacationers dream about – insulated from the outside world, yet packed with superior amenities. 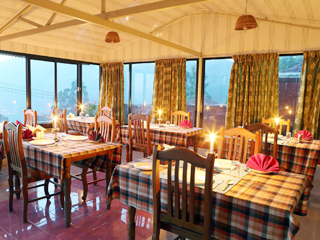 Set amidst the tranquil tea plantations of Munnar, the exotic hill-station in Kerala, Shamrock takes full advantage of its stunning natural surroundings. 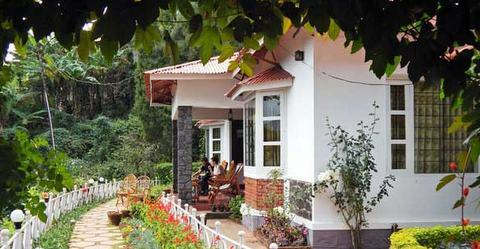 With tea plantations, flower beds, fruit trees, and dramatic natural trimmings adding to its cozy ambiance, the resort fills the senses of the eager traveler just the right way! The well-furnished villas, donned in vintage style indeed go hand-in-hand with the salubrious climate and the breath-taking beauty of Munnar. 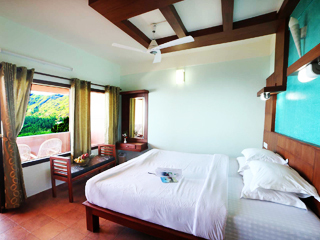 There are seven well-appointed luxury villas of which four are super deluxe and three are deluxe. Each of these villas has been aesthetically done to evoke the period ambiance of an old colonial plantation house with modern luxury amenities. The villas built with indigenous materials are designed with such precision that they all blend in perfectly with the surrounding lush countryside. Scattered amidst a stunning expanse of land dotted with beautiful gardens and exotic plants, each of these villas offer you that perfect escapade into realms of tranquility and harmony. The seven distinctive super deluxe villas, come with a drawing room, bed room, bath room and a private balcony which offers breath-taking panoramic views of the endless rolling hills and the nearby countryside. 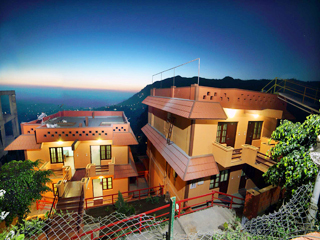 These villas are large, spacious, and tastefully done; equipped with modern luxury amenities. On a sunny day one can enjoy dramatic panoramic views of the Attukad Waterfalls, Chenkulam Dam, Idukki Dam – the second largest arch dam in Asia, Ponmudi Dam, the emerald green slopes covered with tea plantations, and the mist-clad hidden hills of Munnar.